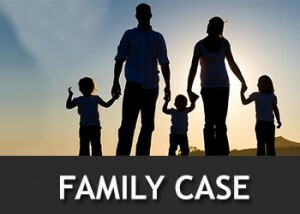 Among the other family case lawyers in Lahore Pakistan Nazia Law Associates have the best family case lawyers in Lahore Pakistan. We have a panel of family lawyers in Lahore and we deal in all kinds of family cases in Pakistan and among-est all the Family lawyers in Pakistan we have the best family lawyer in Lahore Pakistan available. Our expert family lawyers in Lahore represent our clients in all the family courts in Lahore and Family courts in Pakistan. Each of our family case lawyers in Lahore is the best among the family case lawyers in Pakistan. Our experienced lawyers are very much expert in all the family laws in Punjab or family laws in Pakistan. All the family laws in Pakistan provide solution to all our family issues and our experts have complete grip on it. We deal in following family cases. Our Family lawyer in Lahore Pakistan are the best among all family lawyers in Lahore Pakistan. Recovery of Abducted children in Pakistan: Where a child is abducted in Pakistan or where a child is kidnapped from Pakistan or a child is taken away from the lawful guardianship in Pakistan or from natural guardianship in Pakistan a case of habeas corpus can be filled for the recovery of minor child in Pakistan. Literal meaning of kidnapping is napping a kid which means taking away a child illegally which is also an offence. We are the best lawyers in cases of kidnap and we also provide legal services in cases of international addiction of children or international kidnapping of children within or outside Pakistan. Custody of children in Pakistan: Our Family case lawyers in Lahore Pakistan are expert in child custody laws in Pakistan. Custody law in Pakistan safeguards the rights of both husband and wife. Custody of child in Pakistan is a sensitive matter and cases of child custody in Pakistan should be dealt with due care and intelligence. Nazia Law Associates is best law firm in Lahore which can get you full custody of child or Legal custody of child in Pakistan. Both husband and wife reserve the child custody rights in Pakistan. In Pakistan visitation right of father or mother can also be given by the guardian courts in Pakistan. Guardianship certificate in Pakistan: Guardian certificate in Pakistan is required when there is a need of appointing a guardian of the child. Guardian of child in Pakistan may be for guardian of person of children or guardian of property of children. Our family case lawyers in Lahore Pakistan can get you guardian certificate from guardian court on urgent basis. Adoption of child in Pakistan: If you are looking for a legal way of child adoption in Pakistan we can provide you legal services regarding adoption in Pakistan and you can adopt child in Lahore or Adopt child in Pakistan through the legal way and process. Succession certificate in Pakistan: Succession certificate in Pakistan is required when the deceased leaves any movable properties which are to be distributed. In the simple words succession certificate is called legal heir certificate. Our experts can provide you succession certificate in Lahore as per succession act in Pakistan and clients can get this certificate of succession on urgent basis. Nazia Law Associates has Been a perfect place for Legal problems like Court Marriage,Divorce, Family cases, Criminal cases,Property cases includes,Corporate cases includes,and the Advocates are highly Educated and Well Experienced and working since last 10 years in the Lahore courts, and best part is there professional Behavior Seriousness which they show in each cases with individual attention. Each of our family lawyer in Lahore Pakistan is among the top family lawyers in Lahore Pakistan.